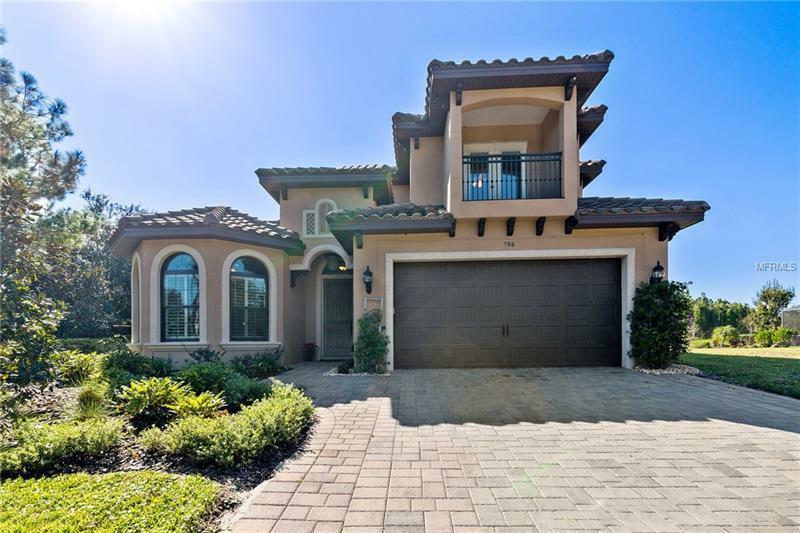 Welcome to lovely Island Club, a Newer Private Gated Community nestled in between Banana Lake and Island Lake in the heart of the sought after Lake Mary/Heathrow area. This gorgeous 2014 Custom Mediterranean Home has 3 bedrooms, 2 1/2 baths and features a Den with beautiful Bay Windows & Wood Floors, a Great Room Floor Plan, Granite Countertops & a Large Kitchen Island, a Downstairs Master Bedroom with Huge Master Bath. Upstairs there are 2 Bedrooms both with Walk-in Closets & one that has a Lovely Balcony, a Large Bathroom with Shower & Dual Sinks, and a Nice Loft/Sitting Area. The home is on a Beautiful Lot situated directly next to a community Green Area. MOVE IN READY - Don't miss this one!